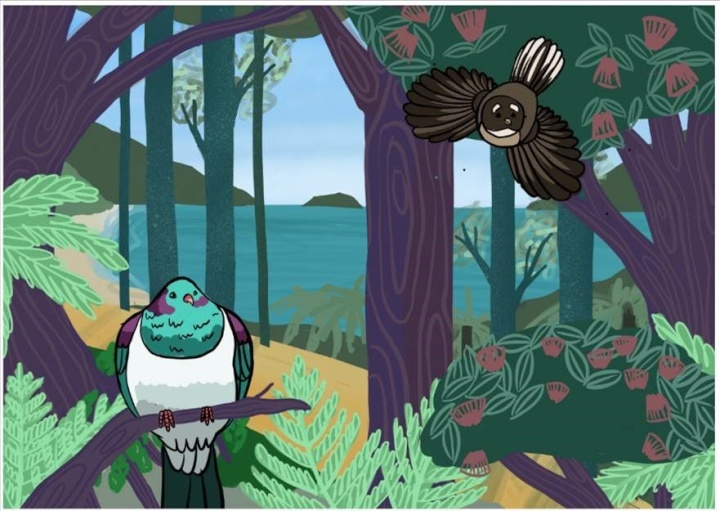 Two Wellington artists have won national awards for their environmental mural designs as part of the Keep New Zealand Beautiful (KNZB) Nature Murals competition. Isobel Te Aho-White’s mural design entitled ‘Whenua Ataahua’ is proposed for the side of Newtown Mall on Riddiford Street. Her proposed mural design comes from the perspective of matauranga Māori (Māori knowledge) around preserving our whenua (land). In her submission Isobel said the mural is a mix of traditional Māori and illustrative elements which create a contemporary design acknowledging indigenous wisdom around environmental issues in our current times. The second mural by artist Rosa Friend and entitled ‘Aotearoa Lane’ will go outside the window of the long-term ward at Wellington Hospital in Newtown. In her submission Rosa said New Zealand is unique in that you can escape and be alone on a beach or in the forest in just a short drive away. Keep New Zealand Beautiful CEO, Heather Saunderson, said: “Numerous studies have shown the great impact mural art has on their surrounding communities – from increasing civic pride, to a reduction in anti-social behaviour such as littering and graffiti. Together with Resene, we’re excited to see this mural come to life and help South Taranaki beautify their corner of New Zealand”. The Nature Murals competition ran from February – April 2019, with artists encouraged to submit mural designs which included an environmental message. Artists from around the country sent in their designs, with the top ten murals selected based on their environmental message, enhancement of the community, and originality/creativity. Winning designs receive a $1000 grant, along with a $750 Resene paint voucher and other materials to paint their mural. Winning artists and regions are listed below, with their designs visible on the Keep New Zealand Beautiful website.